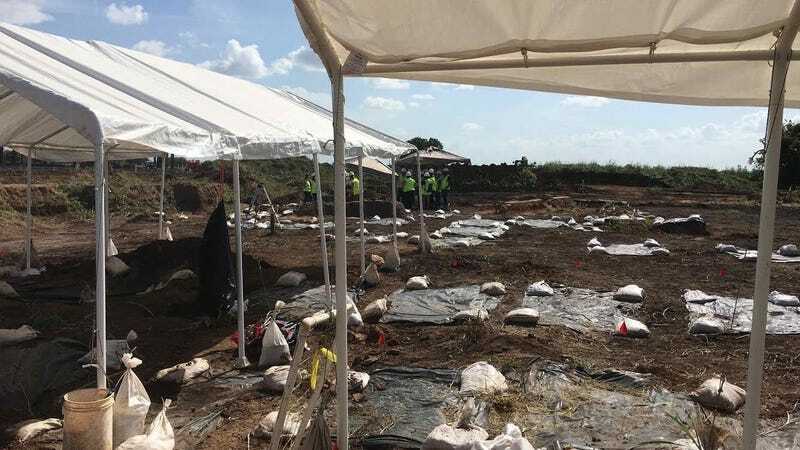 Archeologists say that the remains of around 95 people recently discovered on a Texas construction site almost certainly belonged to African Americans essentially made to work as slaves after the institution’s official abolition, part of the state’s post-Civil War convict lease system. It was “more or less slavery by a new name,” said Reginald Moore, a historian and prison reform advocate who has studied convict leasing in the Houston area. He noted that vagrancy laws at the time made it so that blacks were often convicted of minor offenses, such as loitering, and sentenced to years of hard labor in the fields. White prisoners, he said, were often assigned easier work indoors. From 1870 to 1912, 60 percent of prisoners in Texas were black, according to the Texas State Historical Association. During this time, prisoners helped build the Capitol building in Austin and constructed part of the Texas State Railroad. Today the city of Sugar Land is a sprawling suburb southwest of Houston, home to Imperial Sugar Co., shopping malls and endless cul-de-sacs. But more than a century ago, it was a sprawling network of sugar cane plantations and prison camps. Sugar Land was better known then as the Hellhole on the Brazos. From sunup to sundown, convicts who were leased by the state to plantation owners toiled in the fields chopping sugar cane sometimes until they “dropped dead in their tracks,” as the State Convention of Colored Men of Texas complained in 1883. The system was just one of the many ways that the white supremacist system of the slaveholding South reasserted itself after the end of the Civil War; another would be the creation of the Ku Klux Klan and other similar vigilante organizations and, ultimately, Jim Crow. The find represents a kind of grim opportunity. “When I went out there and seen those bodies, I felt so elated that they would finally get their justice,” said Moore. Mostly men, these people’s very bones reveal, for instance, that “They were really doing a lot of heavy labor from the time that they were young,” said Catrina Banks Whitley, a bioarchaeologist. At long last, they have a chance to testify, one they were denied in life.